The YouTube adpocalypse is happening! I watched it happen from a distance, looking at channels talking about YouTube curbing the ad revenue based around their new ad policy. I never thought my account would be next…. How controversial could my videos about home automation could be? Today, I have discovered that I am apparently very controversial. Before I jump to the details, please bear in mind I’m taking issue with this purely out of principle. My YouTube channel is very small, and does not generate any ‘real’ profit. In no way am I financially effected by a single video, however, I’m annoyed enough to write an entire editorial about it. 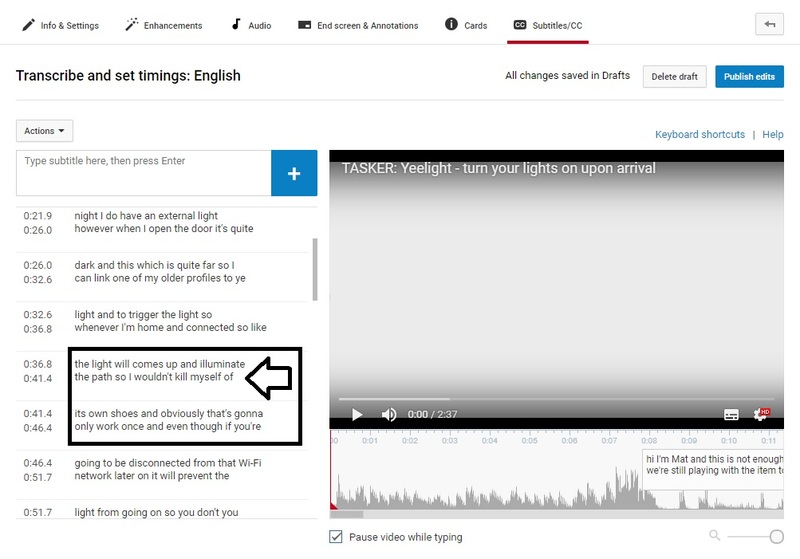 On Sunday, I published a video about Tasker and Yeelight. It’s nothing fancy really, just another video of me talking tech tutorial stuff. If you follow me, you know I take a pretty ‘PG12’ approach to the topics I cover. Really? OK, I was just slightly amused by the fact i managed to get a single flag on one of my 140+ videos so far. Slightly confused about the issue, I started to think about what could trigger this behaviour. Trusting automated captions with flagging content is a really bad idea. Taken completely out of context – the phrase is used to lock the ad revenue due to distressing content. At least this is my guess, as at no other point have I said or showcased anything remotely controversial – unless I should include my brilliant accent! Imagine a gaming channel where a gamer tells his gaming buddy to kill himself so he could respawn as another character/class etc. (pretty much any other session with my game buddy Lucas). Yes it could be THAT bad! Boring Terms and Conditions anyone? Apparently, I’m big enough to get my ‘profits’ curbed over the ‘distressing’ content of my videos, but I’m not big enough to get the video reviewed by someone. The millions I earn on YouTube each week!!!! I’m not salty over the $0.30 I will lose each week for the next 2-3 weeks, but I have done nothing wrong and I have no option to defend my creation. There is very little chance my video will get 1000 views in a week to qualify for a review. I get about 300-400 within that time, and then about a 1000 more a year later! As much as I would love to have 10000 subscribers, I don’t have it, and I can only get there by creating more content while not being constantly demotivated by YouTube. It saddens me that next time I make a video, I will have to moderate the things I say in order to not be wrongfully accused of something taken out of context. The saddest part about it is, that robots can misinterpret anything I say, and until I get ‘famous’ (fame level: YouTube T&C) I have no assurance that I won’t be targeted again. To my surprise, and against every message given to me in the YouTube Creator Studio, the video has been enabled for monetization again. I have requested a manual review, however, feedback received that I’m not eligible for the manual review. My video has not reached 1000 views (127 views from the date it has been created) nor I have 10k subscribers. While I’m confused (but happy about the results) my point stands, until the manual review process is available to YouTube channels of all sizes. Adpocalypse can happen to anyone. Fortunately, this won’t impact my lavish YouTube earnings much, but it feels awkward to be accused like this. I don’t often ask any favours, but if you want to help, I would really like this video to reach 1000 views in 7 days so I can appeal. If you also subscribe that would mean a lot as well. EDIT: I guess this request no longer applies. The requests below, however, still do! Please share this post with people you know, especially YouTube creators that are just starting out. A lot of big channels talk about the lost revenue, making big waves, they can defend the videos against the claims like this. The small channels can’t. Feel free to follow me on social media as it helps me to grow, share it, and comment if you need any advice. You can also support me, and fund my projects directly.